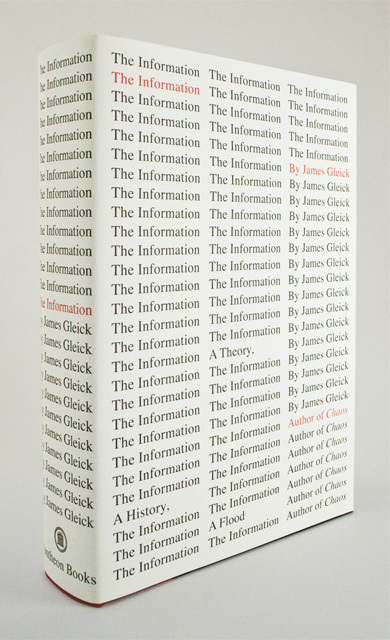 My review of James Gleick’s new book, The Information, recently appeared in the Globe and Mail. Like all good storytellers, Gleick begins in the middle, with Claude Shannon. Along with Warren Weaver, Shannon is one of the creators of what we now call the Shannon-Weaver “Mathematical Model of Communication.” This model was a direct product of the American military-industrial complex assembled by Vannevar Bush during (and immediately after) the Second World War, with the goal of speeding up data processing to aid the Allied war effort. Gleick contends that the development of the Mathematical Model was more important even than the production of the transistor, which occurred during the same period. What was – and remains – radical about the Mathematical Model of Communication is that it asserts that information is a measure of quantity, not meaning. On one hand, this degree of abstraction allowed engineers to imagine new techniques for manipulating data as systems, which helped to bring about contemporary networked society. On the other hand, the notion that information has nothing to do with meaning is a stark reminder that communication can and does take place all the time without any human input whatsoever, at speeds too fast to comprehend and scales too small to observe. The rest of the text is here.